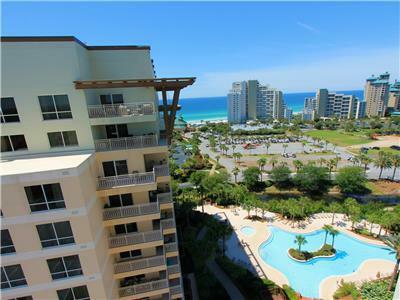 Views of the Gulf and Pool! Master with a Great View! Out Door Grilling and Seating Available! 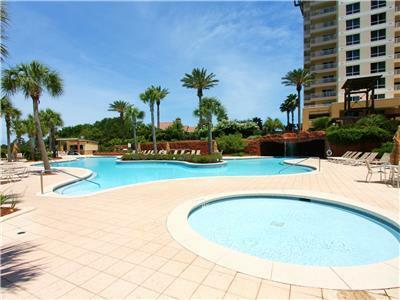 Large Pool & Children's Splash Pool! 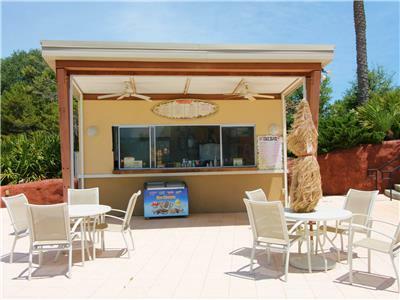 Snacks at the Tiki Bar! Breakfast bar with large dining room table! 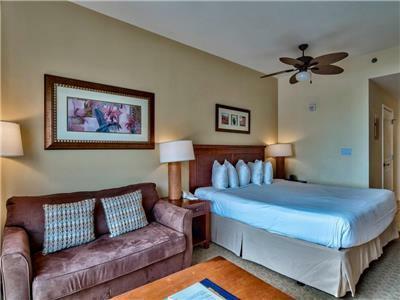 Breathtaking views and world class amenities best describe our Luau 7201/7203 vacation rental property; offering resort accommodations for up to 7 guests in 2 bedrooms and 2 bathrooms. 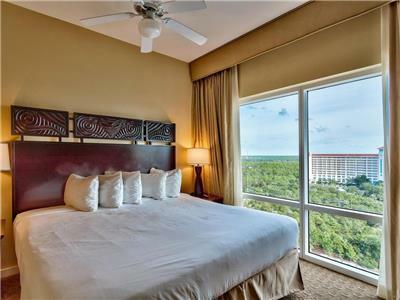 Located in the world renowned Sandestin Golf and Beach Resort and across the street from The Beach House restaurant, Luau is a luxury high rise known for its resort style amenities. 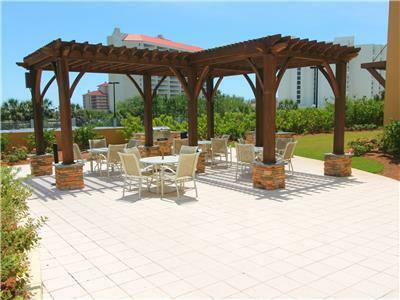 These include a lushly landscaped pool deck, large resort style pool, hot tub, tiki bar, fitness center, expansive gulf views, and easy access to our famous sugar sand beaches. 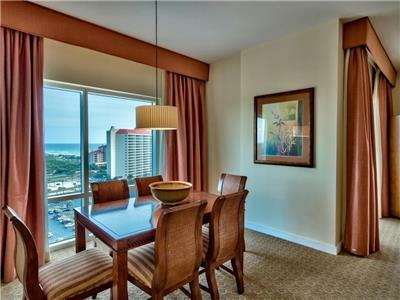 Luau 7201/7203 is located on the 12th floor of Tower 1 of Luau and features a large wrap around balcony to get the most of the amazing gulf and community views that can be seen from that height. 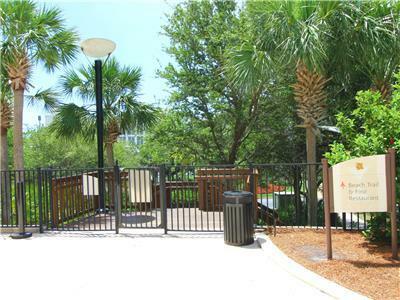 This 2 bedroom has a studio lockout floor plan, composed of two separate units that have the option to be connected! 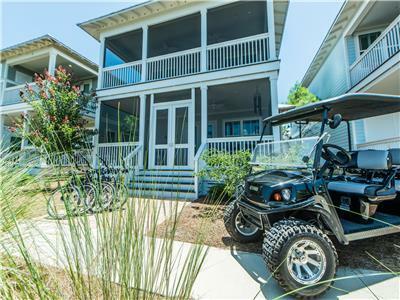 It is perfect for a couples' escape or family getaway. The main side features a full kitchen, living room, dining room, king bedroom and full bathroom. The studio features a kitchenette, dining table for two, sofa, king bed and full bathroom. 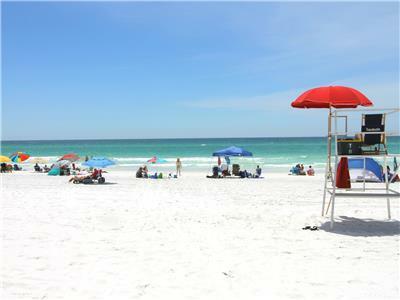 The Sandestin Golf and Beach Resort is a 2,400 acre resort spanning from beach to bay between Destin and Santa Rosa Beach. 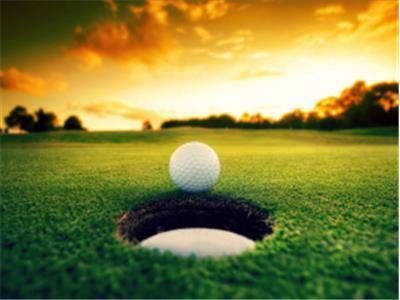 The resort is home to four award winning, championship golf courses highly regarded as the best in Florida. 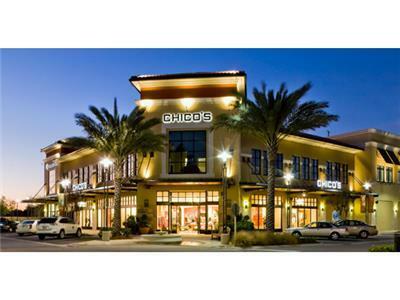 Within the resort are dozens of restaurants, eateries, retail venues, and specialty boutiques so you never have to leave the gates. 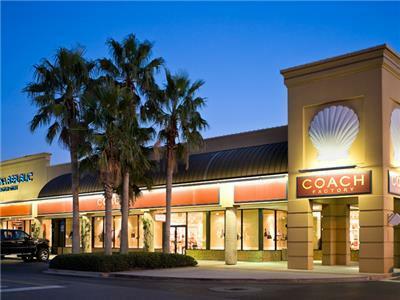 The New Orleans inspired village of Baytowne Wharf hosts special events, and offer entertainment for the whole family. A private beach, exclusively for the use of guests staying within the resort, allows the beach to be as relaxing as it is beautiful. 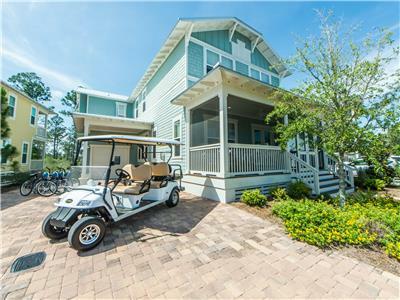 Sandestin Beach & Golf Resort All Seasons Attraction 2477 ft.
BeachWalk Vacation Properties Office	 Property Management 4154 ft.
Grand Boulevard at Sandestin Shopping 4891 ft.
Silver Sands Premium Outlets	 Shopping 1.24 mi. 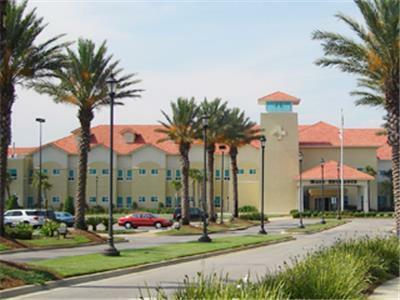 Sacred Heart Hospital-Emerald Coast	 Hospital 1.36 mi. 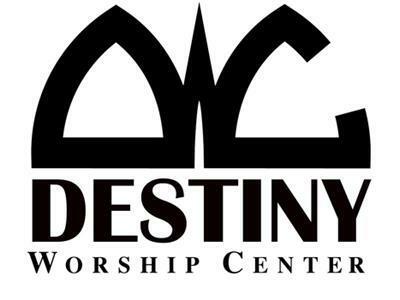 Destiny Worship Center Church 1.63 mi. Topsail Hill Preserve State Park	 Park And Recreation Area 1.88 mi. 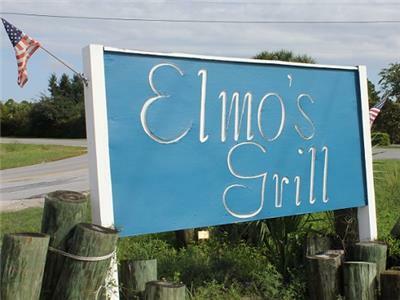 Elmo's Grill Restaurant Restaurant 3.80 mi. 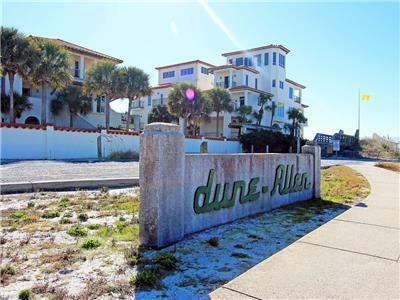 Dune Allen Beach All Seasons Attraction 4.56 mi. 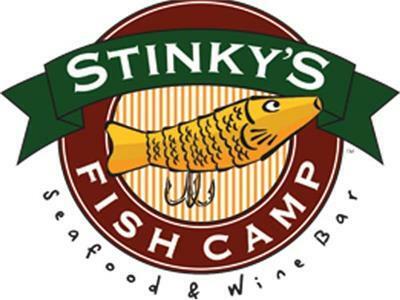 Stinky's Fish Camp Restaurant Restaurant 4.60 mi. The view was so much better than I anticipated! 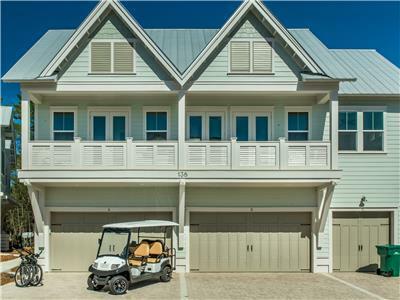 This unit is perfect for a large group or two families. 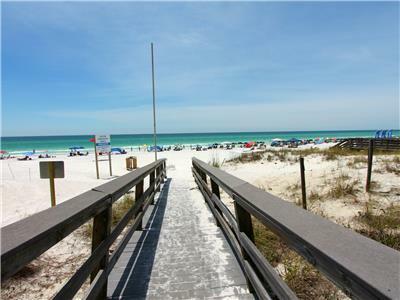 Easy walk to the beach, looking forward to going back. 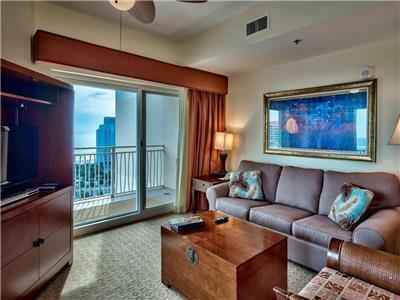 This is our third year staying in the Luau condominiums, and our family has been extremely happy. This unit was well equipped, clean, and comfortable. The views from the living area and bedrooms were spectacular. We will definitely be looking to return to this unit in the future. Booking was simple and the folks that helped could not have been any nicer. We made some wonderful family memories on this trip! 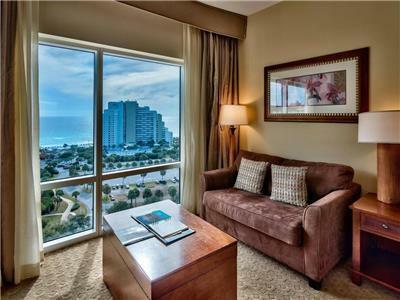 Loved the condo. Two master bedrooms made it very comfortable for our families. 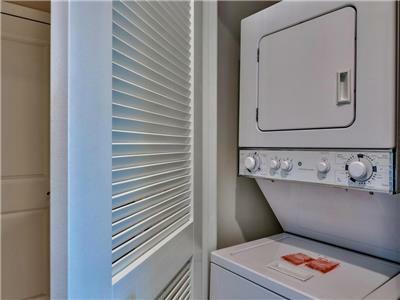 Dishwasher, washer, and dryer allowed us the comfort of being home while we were away from home. 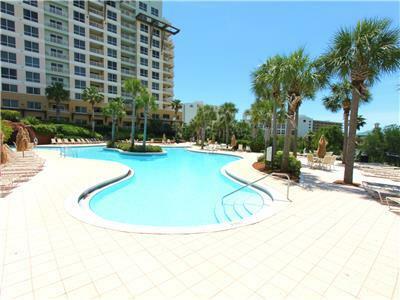 Loved being on the beach and the pool was great. Would stay here again. Parking was very convenient. Furnished well. 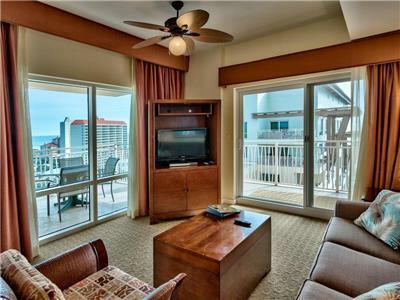 Overall a nice condo. 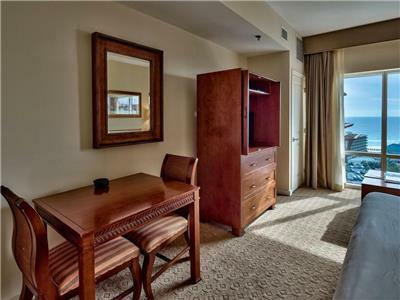 Does need some updating with the beds but overall a nice place in a great location. Had a great time. Unit was excellent. We even had some trouble with the AC and it was fixed same day. Wish I could get that service at home. Thanks. 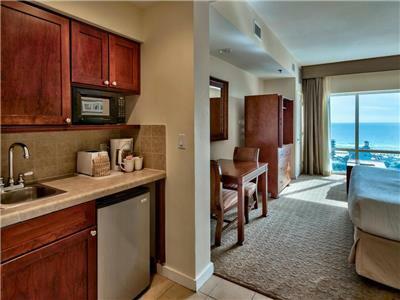 A wonderful condo just a short walk to the beach. 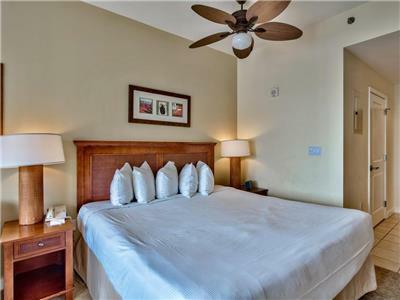 With two king beds and two couch beds it was the perfect size for two small families. We enjoyed the convenience of the tram and the large Luau pool. The Beach House was delicious- much better than expected and not too pricey for a resort restaurant. Luggage carts are located on the parking level. We found that out after carrying all our things from the ground level. Our only regret was a short stay. Hoping to return again for a longer stay to take full advantage of the resort property and local attractions! 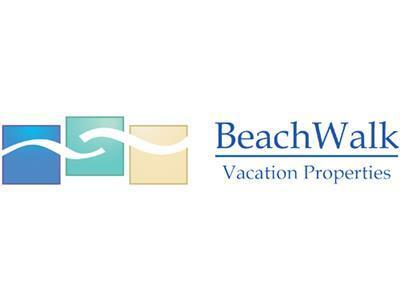 VRBO made the whole process a breeze, even called an hour before check-in to see if we were finding our way ok. I definitely recommend them! 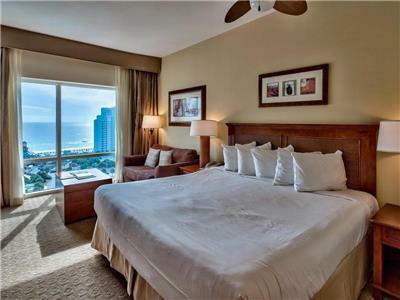 The property and particular condo unit have the most beautiful views of the emerald beaches. The room was in pristine order upon arrival. It was very clean and there were plenty of linens, and kitchenware items. To our surprise there was even a box on the balcony with boogie boards, beach chairs and other toys. 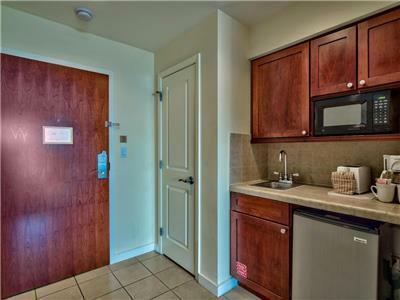 It would be nice if the smaller bedroom with the kitchenette also had a coffee maker. Other than that it was wonderful. My family and I made some great memories. 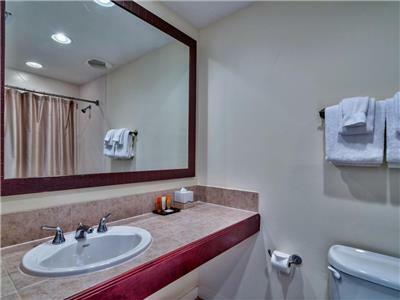 The property was clean and well kept. This was a great fun place to stay. Absolutely beautiful place and very spacious and comfortable. I couldn’t have asked for a better place. This place was really nice and very spacious. The only thing negative was that the carpet needs replacement. But other than that, it was amazing. We enjoyed our stay here a lot. Oh, you can not have a minivan and a topper as the garage is very low. We had to take ours off to get into the garage and park. 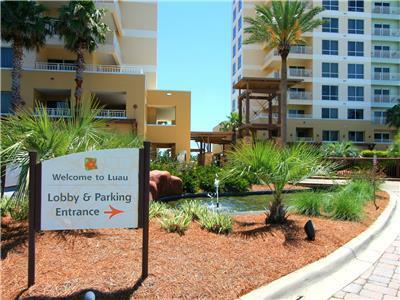 As usual, the Luau is one of our favorite vacation destinations in Sandestin. 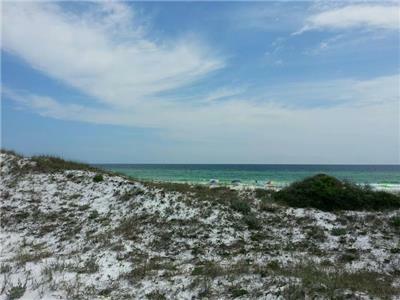 This property has an excellent location, and the view from this property is absolutely stunning! 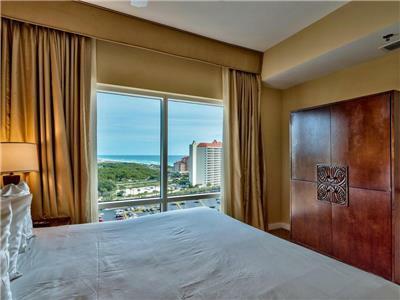 The view of the coast line from this unit was spectacular, great way to wake up in the morning and enjoy a cup of coffee or relax in the evening with a glass of wine. We look forward to our return hopefully in the near future! 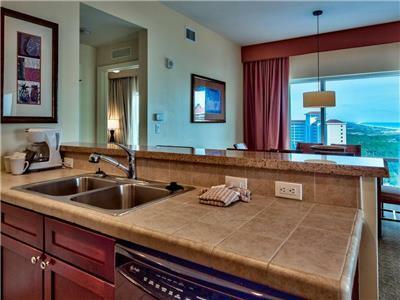 The condo was clean and nice. 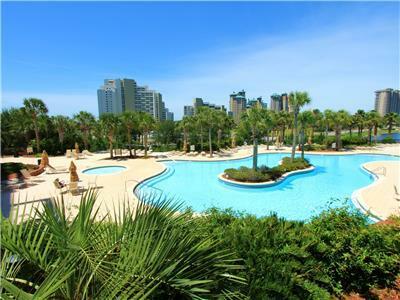 The views were beautiful, with easy access to the beach and a great pool as well. 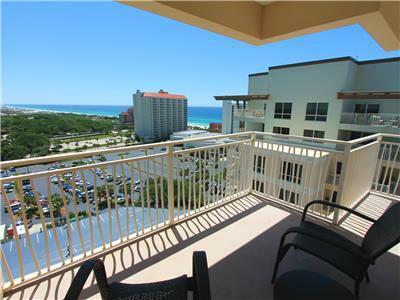 The condo was the perfect size and close to the beach. The free tram was awesome at night to go to the wharf for entertainment. Would go back again! 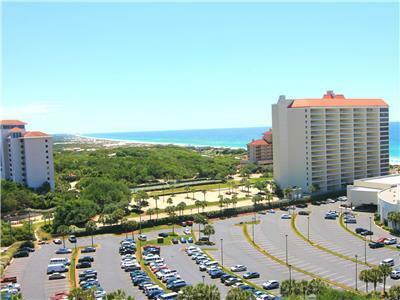 Unit is very comfortable, with a great pool area, and beach access. Would stay again. 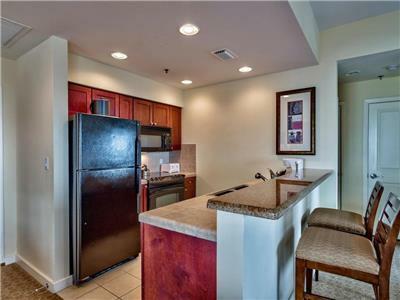 We loved the condo and thought the floor plan with both adjoining units was ideal for 2 adults and 3 kids. We had plenty of space and weren't on top of each other. The unit had everything we needed and plenty of towels which was nice. 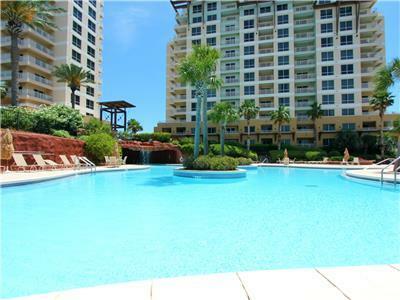 It was close proximity to the fabulous pool at the Luau as well as the beach. 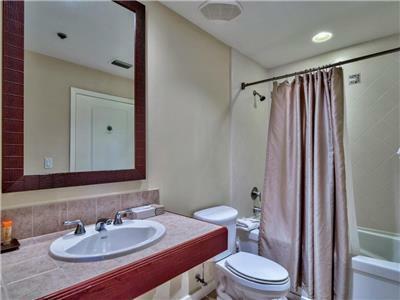 The only improvements I could mention would be that the unit needs a full length mirror. It's difficult for the girls to get dressed without one. Also, that master bed mattress is quite hard. Other than that, it's amazing and we will definitely stay there again. We visit yearly and this will be my new "go to" unit! Loved it and will be back!